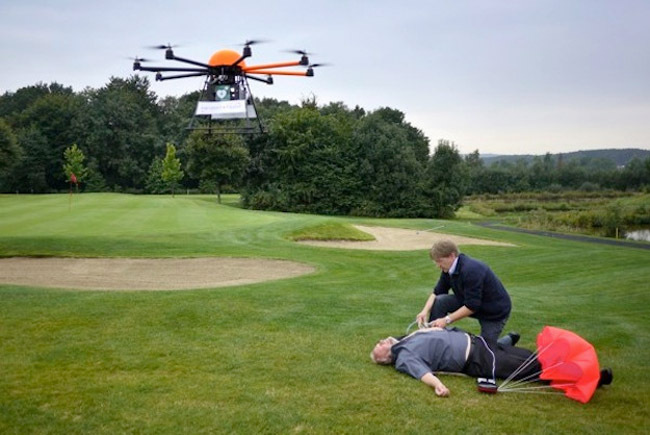 Instead of raining death and destruction, these 13 drones deliver defibrillators and piping hot pizza, save drowning victims, mix the perfect cocktails, clean ocean pollution and even take your selfies for you. The creators of these flying robots focus on how they can be used for the greater good, rather than remaining associated with war. After all, it’s hard to argue against the statement that a giant burrito is better than a bomb. Your own personal robotic bartender will make you any drink, from tea just the way you like it to the perfect margarita, and then deliver it to you. 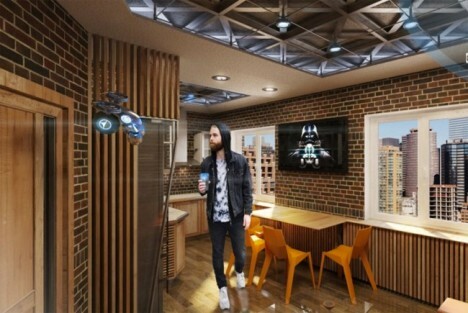 The flying droid, by Kyiv National University of Construction and Architecture student Herman Haydin, can be activated with voice commands or via a smartphone or computer, and is equipped with navigation, WiFI and sensory body screens. It’ll even determine just how many calories should be in your drink to meet your needs. Your pizza could get to you a lot fresher and hotter if the driver didn’t have to worry about traffic. 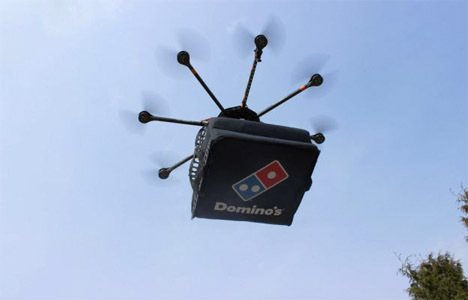 Enter ‘DomiCopter,’ a Dominos drone that can deliver pies in heatwave bags over long distances without having to refuel. The company is currently testing the prototype at its headquarters. Need a personal assistant to go to the post office, watch out for your safety in a questionable area, or scout out a parking spot? 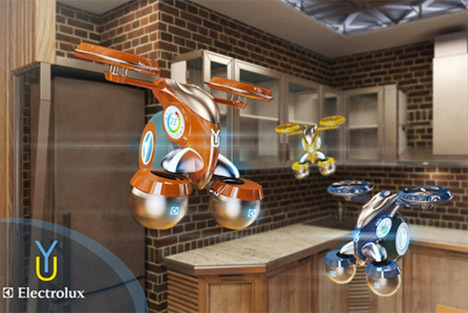 The Gofor concept envisions thousands of drones hovering around in the sky, just waiting to be summoned down to perform various tasks. While the technology to make this happen isn’t quite in place yet, graphic artist Alex Cornell makes a convincing case for the service. 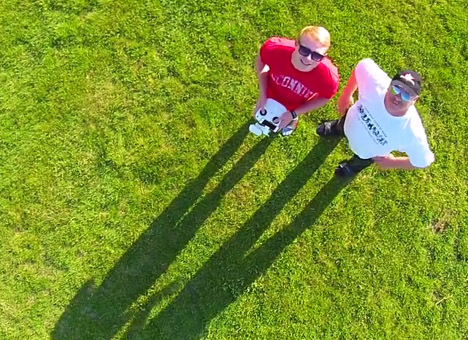 Is a selfie still a selfie if it’s taken by a drone? 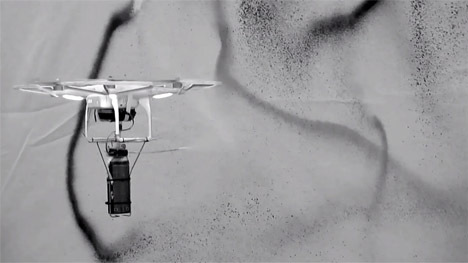 An entire Vimeo channel exists solely for the ‘Dronies’ phenomenon of people using little flying robots to snap self-portraits. They’ve been taken everywhere from suburban parks to the Roman Colosseum, capturing the subject’s environment for a whole new dimension to what’s typically a pretty limited photograph. 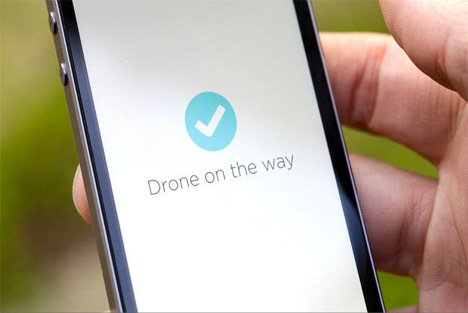 Anybody could stick a GoPro or similar camera onto a flying robot to try it out for themselves.